There’s a common misconception that men retain their fertility potential for almost a lifetime. Nothing could be further from reality. 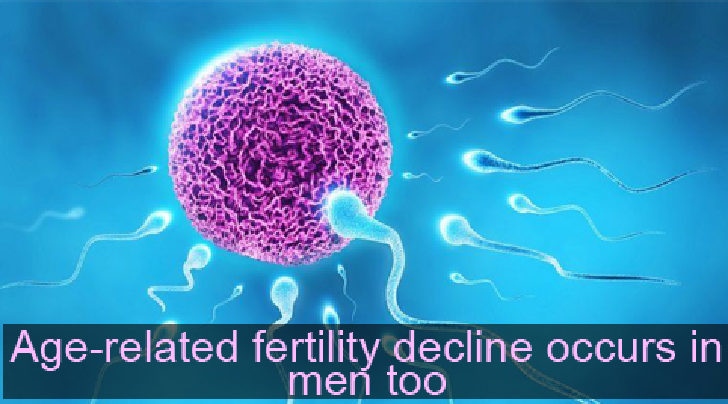 Men suffer from a similar decline in fertility as much as their women counterparts. The dual age-related fertility decline is a natural phenomenon, thus skewed blame of women in matters of fertility should be avoided. The decline in fertility starts in the late thirties and gets more pronounced from the forties. The overall sperm quality decreases as age advances. Older men will increasingly become incapable of fathering more children, or just contribute to age-related miscarriages and fetal abnormalities. Men should make decisions in matters of reproduction early enough, balancing this with other competing interests like careers and personal development. Your reproductive plans must take account of your current age. You may choose to bring forwards, rather than delay childbearing if creeping towards the fourth decade. This may not always conform to your overall ambitions, but must be factored in if you harbor an eventual interest in having a family. Awareness of fertility decline must be coupled with a lifestyle that maintains optimal sperm quality. Smoking, chewing miraa and use of other recreational drugs are all very toxic to sperm quality. It doesn’t end there. Sedentary lifestyles leading to obesity and other illnesses like diabetes also contribute to declining fertility potential. You want to keep yourself in optimal health and avoid preventable conditions that may accelerate the decline in your reproductive potential. But we are living in an age where even the best-laid plans may come to a cropper. So what if you get caught up in the humdrum of competing interests, and have to push back your plans for raising a family to the later decades? Just like for women, men also have the option of fertility preservation. You could choose to freeze your sperms as a backup for later use when conditions for starting a family are more favorable. Better still, you could freeze fertilized eggs (called embryos), if already in a stable relationship but not ready yet to start a family. Frozen sperms or embryos maintain their quality till eventual use. But there are costs and ethical dilemmas involved in such matters that you must be willing to contend with. Remember even advances in assisted conception techniques cannot fully compensate for age-related fertility decline. Aim to seek help early if conception does not occur within six months whilst in the advanced age group. Don’t send your female partner alone to a fertility clinic, you should always accompany her as you may be the one with a problem. It doesn’t matter if you have fathered a child before, you must accept the natural fertility decline that comes with getting older.